Partner with a property settlement attorney who can protect your rights and your assets. During a marriage, living a shared life with your spouse means shared property, shared finances, and even shared debt. Understandably, after years or even decades of marriage, dividing that property fairly during divorce proceedings can be an extremely complicated and contentious process. While some separating couples are able to divide their property by agreement, many find that there are vast differences between what each party believes they should receive For those who are unable to reach agreement, the court will ultimately make the decision for them. In Virginia, trial judges have wide discretion in deciding what division of marital property is fair and reasonable. Virginia’s law regarding division of marital property requires the court to consider a number of “factors”, some of which are the same factors to be considered in determining spousal support. Understanding how these factors are applied and what evidence must be brought to bear on each one is critical to effective representation of any divorce client whose property is in dispute. It is absolutely vital to have an experienced, knowledgeable, and aggressive family law attorney on your side during the litigation or negotiation of these often complex issues. 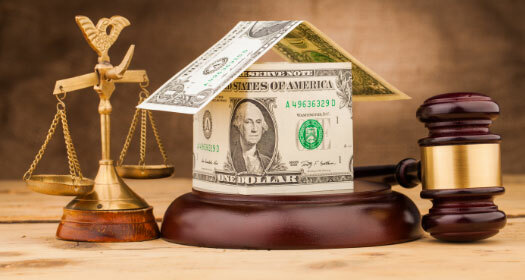 But before the court can reach the issue of division of marital property, it first must determine whether the property is “marital” at all, or the “separate” property of one of the spouses. The property may also be “hybrid” property, consisting of both marital and separate components. This process of deciding whether property is marital or separate is called “classification”, which can be a very complex issue. Generally, property that is acquired during the marriage and jointly titled property are “presumed” to be marital, but the presumption can be overcome by showing that the property was acquired by one of the spouses by gift, bequest, descent, survivorship, or gift from someone other than his or her spouse. Property that is acquired by one spouse prior to the marriage and is maintained separately, without “commingling” other marital property or marital effort into it, is generally considered to be that spouse’s separate property. Will everything be split evenly down the middle? What will happen to our home? Can I be forced to sell? Who is responsible for debts accumulated before marriage? Will my retirement account have to be divided? Am I entitled to more property if I am the family’s breadwinner? Am I entitled to more property if brought more assets into the marriage? What happens if my spouse is hiding assets? Does the length of marriage affect the court’s decision? Is my spouse entitled to any of my inheritance? If my spouse is guilty of adultery, will this affect the court’s decision? Since the law vests wide discretion with the trial judge, these and similar questions may or may not have the same answers in different cases, depending on the individual facts. While settlement of property division is generally favored, a successful settlement negotiation requires that the attorney also have a comprehensive understanding of the equitable distribution statute and how it is applied in court. Do not trust these complex questions and their answers to guesswork. Have an experienced advocate on your side. Contact us to learn more about your case. If you live in Virginia and are in need of an attorney to assist you with the litigation or negotiation of property division in divorce, we can help. Call us today at (540) 659-2184 or fill out the online contact form on this page and begin taking control of your division of property case. Rinehart, Butler, Hodge & Moss, PLC, serves clients in the state of Virginia, including the following cities, counties, and towns: Fredericksburg, Stafford County, Spotsylvania County, Caroline County, Hanover County, Westmoreland County, King George County, Fairfax County, and Prince William County.